Writing in his Sky Sports blog, Jamie Redknapp gave his views on Arsenal and Tottenham’s outstanding Champions League victories in the week. The Arsenal-Barcelona tie in particular aroused a great deal of pre-match discussion as to how the Gunners should approach the game, and Redknapp reveals his thoughts on Arsenal’s tactics. I have to say I didn’t think Arsenal would lose on Wednesday but you still have to congratulate them on winning that game. So far so good Jamie, even if you are blowing your own vuvuzela a little. Especially if, like me, you thought they were playing suicide football in the first half! I sat watching that and could not believe my eyes. Everybody had been talking about stopping Barcelona by sitting back and letting them pass that ball around in front of you – like Inter did last year – as being the best way to handle them. Well I sat and watched Arsenal play off-side with a such a high line, it was ridiculous! 1) Inter Milan boasted Zanetti, Samuel, Lucio and Maicon as their back line, with Cambiasso as a defensive midfielder. Arsenal cannot claim to hold any defensive players of such quality, and sitting back would’ve only led to inevitable Barcelona goals, despite Koscielny’s fantastic performance. 2) Inter only sat back in the second leg, away at the Nou Camp. In the first leg, they were relatively adventurous, and came away with a 3-1 victory. They could afford defeat in Barcelona; Arsenal could not at home. Press, press, press. 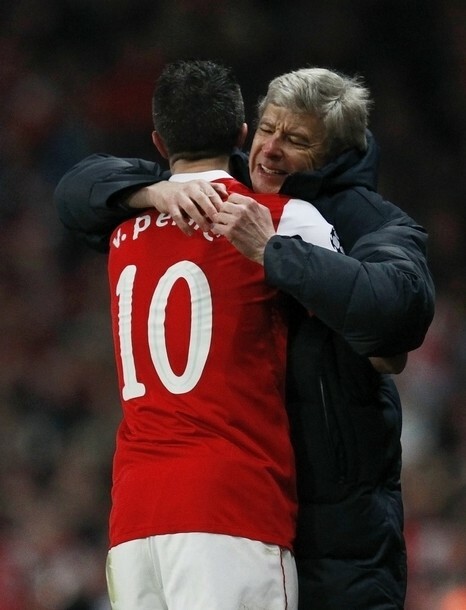 It’s a mantra Fabio Capello continually drums into his England players and a mantra Arsène Wenger should also adopt. As part of that pressing policy, Arsenal’s back four must defend a fairly high line. If they do not, all that hard work in midfield will go to waste. Arsenal have been described as Barcelona-lite for their attacking approach but if they are to succeed this time, Dixon said, the Gunners need to replicate some of the Spanish champions’ defensive qualities too. Guardiola’s team are renowned for their collective pressing with the Spanish coach reasoning that the higher up the pitch his team win the ball, the closer they are to the opposition goal. Needless to say Zonal Marking, the internet’s most comprehensive tactics blog, largely agreed with the Dixon and Smith’s sentiments. Redknapp’s ignorance perhaps isn’t all that surprising as a Sky Sports television pundit, but all he’d have to have done before the game is have a quick scan of the literature to assess Arsenal’s best approach. In the end, Arsenal pressed from the off with a high line, and came away with an impressive victory. Just as well Arsene Wenger is the Gunners’ manager. Great Stuff Omar, Jamie knows nothing about football! COME ON THE ARSENAL!!!!!!!!! !